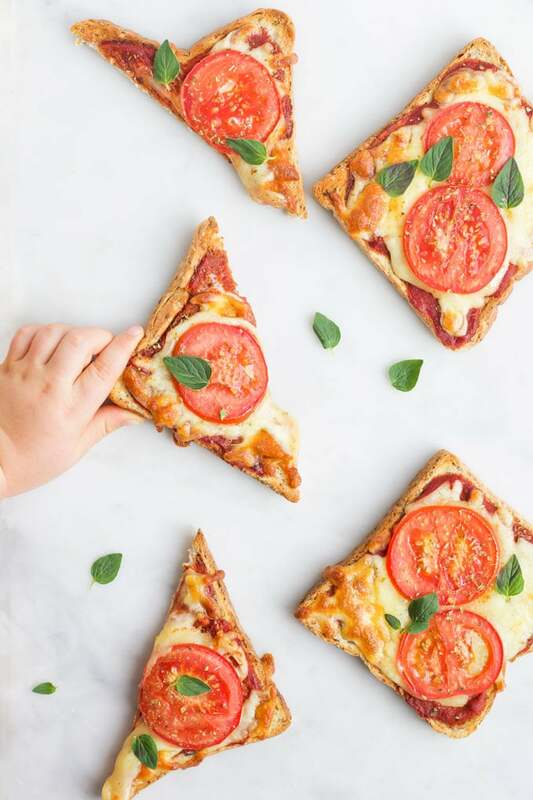 Pizza Toast – Quick and easy to make, loved by the whole family and great for getting kids involved in the kitchen. 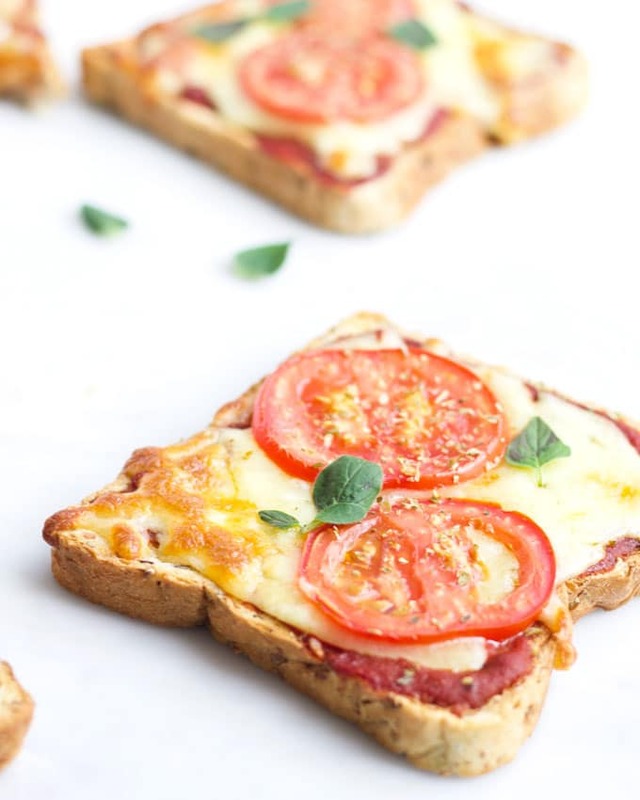 If you are looking for a quick lunch idea then this pizza toast is perfect. 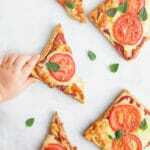 I’ve kept this recipe simple but, just like regular pizza, your topping ideas are limitless and it can be a great vehicle for getting your kids to try new vegetables or vegetables they wouldn’t normally eat. What exactly is Pizza Toast? 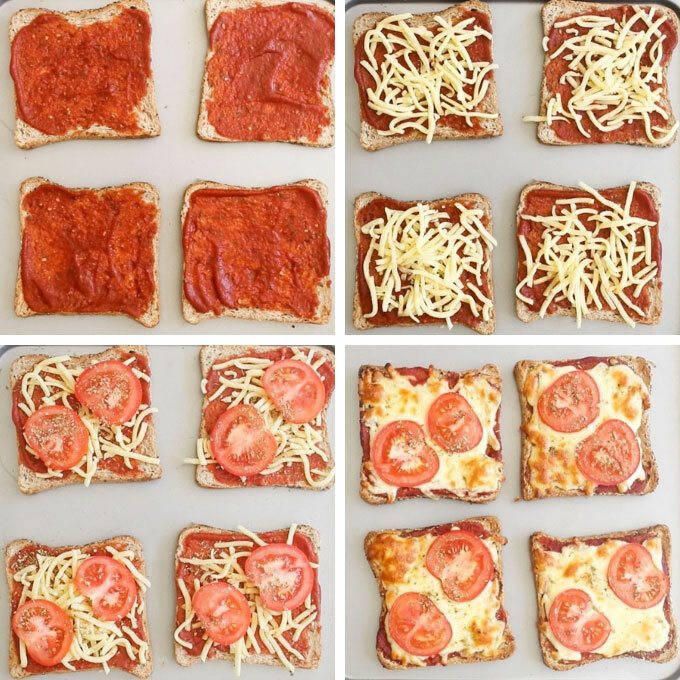 Pizza toast is really just a simplified, quick version of pizza but instead of using pizza dough you use bread. Although not quite the same as the real deal, it is a fun lunch or snack idea that even the youngest of kids can help to prepare. Bread Slices – Use your preferred bread or if you want to change it up a little you can use half a bread roll or tortilla wraps. Pizza Sauce – I use homemade, it is easy to make and you can store small portions of it in the freezer to have available when needed. Cheese – You want a cheese the melts well, I’ve used mozzarella. Toppings – I used tomato slices in this recipe but you can use your favourite pizza toppings. Dried Oregano – I love the flavour oregano gives, you can add as little or as much as you like. You may prefer to use Italian mixed herbs. Top with the sauce, then the cheese, your chosen toppings and lastly the dried oregano. Button mushrooms – you can top with raw slices but my kids prefer them when they have been sauteed and nicely caramelised. Pizza toast is best eaten straight away and I do not recommend that you assemble or cook in advance. However, you can prepare all the toppings in advance (make pizza sauce, grill vegetables, grate the cheese etc) to make assembly quick and easy. Top each slice with the mozzarella cheese, then the tomato slices and finally a pinch (or two) of dried oregano per slice. Place under the grill (broiler) and grill for approx 5 mins, or until the cheese has melted, bubbling and starting to turn golden. BREAD - You can use slices of your favourite bread or you can get a little more creative and use half a bread roll or tortilla wrap. 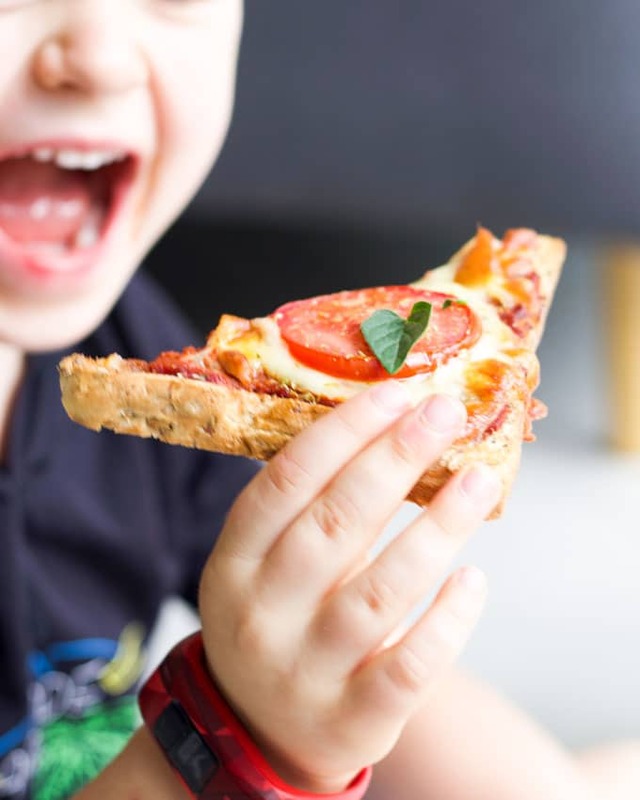 TOPPINGS - Why not set up a range of pizza toppings and allow your child to create their own masterpiece! Nutritional information is a ROUGH guide only, calculated using an online nutrition calculator. Facts will vary depending on bread, cheese and different toppings used.